President Donald Trump’s pick for attorney general sent White House lawyers a memo arguing that the president could not have obstructed justice by firing ex-FBI Director James Comey, describing a critical prong of the special counsel’s Russia investigation as “fatally misconceived,” he told the chairman of the Senate Judiciary Committee in a letter Monday. The development, revealed the night before William Barr’s confirmation hearing, raises questions about Barr’s communications with Trump’s attorneys ahead of his nomination and is likely to prompt questions about his ability to impartially oversee special counsel Robert Mueller’s investigation. Democrats were already seeking to question Barr about the memo, which he sent, unsolicited, to the Justice Department in June. 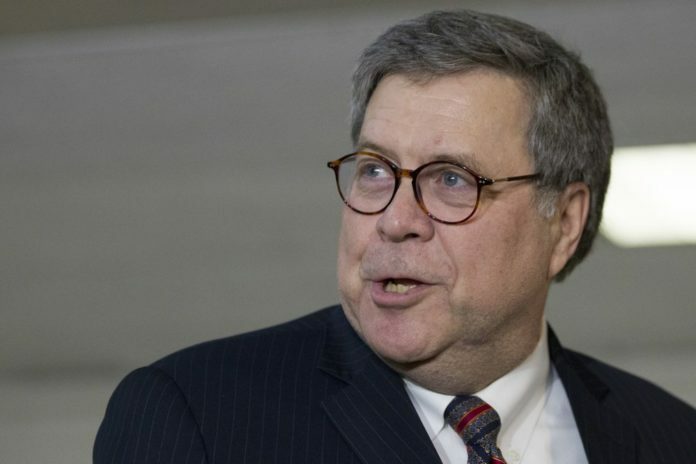 Barr sent the letter Monday to Sen. Lindsey Graham, the Republican chairman of the Senate Judiciary Committee, detailing that he sent the memo to White House lawyer Emmet Flood, Solicitor General Noel Francisco and Pat Cipollone, who is now White House counsel. Barr also discussed the contents of the memo with Trump’s attorneys, Jay Sekulow and Jane and Martin Raskin, he said in the letter, which was obtained by The Associated Press. Barr sent the memo while he was in private practice and months before he was selected by Trump for the top Justice Department job. On Tuesday, Barr will seek to assure lawmakers that the memo was narrowly focused on a single theory of obstruction that media reports suggested Mueller might be considering, according to a copy of his prepared remarks provided by the Justice Department. As part of his testimony, Barr is also expected to tell the senators that Trump didn’t seek any assurances or promises before nominating him. In the memo, Barr argues that it could be disastrous for the presidency and the Justice Department if Mueller concludes that actions the president is legally permitted to take — including firing an FBI director or granting a pardon — could constitute obstruction because of a subjective determination that they were done with corrupt intent. Barr acknowledged a president can commit obstruction of justice by destroying evidence or tampering with witnesses. But, he said, he wasn’t aware of any accusation like that in Mueller’s investigation. Barr, who previously served as attorney general in the early 1990s, had contemplated writing an op-ed before he penned the memo, which he sent to Deputy Attorney General Rod Rosenstein, he said in Monday’s letter. He also provided or discussed the memo with at least nine other people, including Abbe Lowell, an attorney who represents Jared Kushner, Trump’s son in law, as well as George Terwilliger, who was Barr’s deputy attorney general in the 1990s, he said. Barr’s role overseeing the Russia probe may be especially important since Deputy Attorney General Rod Rosenstein, who appointed Mueller and has overseen his day-to-day work, expects to leave the Justice Department soon after Barr is confirmed. CNN first reported that Barr sent the memo to White House officials.